Sometimes I just CRAVE cookies. Like crave to a distraction. A few months ago I was having an in-depth conversation with my brother Cliff and my sister Melissa. Cookies were the topic. We were talking methods, favorite recipes, etc. I mentioned how, as much as I LOVE my cookies, sometimes I wish I could get them to have a more “bakery style” look – with a bit more height and loft, but still maintain the softness and chewiness of the cookie. My sister Melissa, a baking aficionado, suggested I freeze my cookie dough. I protested. I mean, I refrigerate it for HOURS sometimes, isn’t that enough? Apparently not. She’s older, wiser, a better baker. I bow down to your awesomeness Melissa. The cookies turned out PERFECTLY. As in, I could hardly stand how perfect they were….so I ate them. A lot of them. And I don’t regret it one single bit. So soft. So chewy. Heavenly. Freezing the cookie dough for about an hour does amazing things. You can freeze it for longer, of course, and even overnight is totally okay. 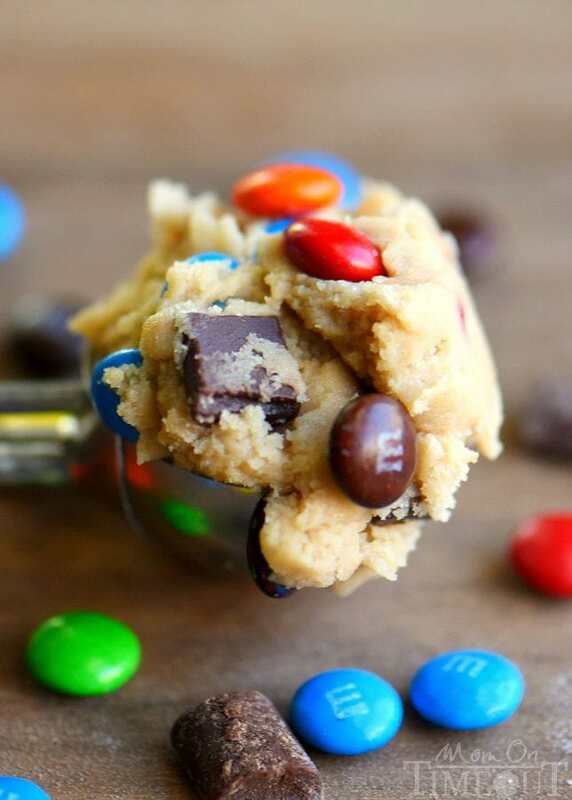 Please please just use a cookie scoop so that your cookies are all uniform in size. 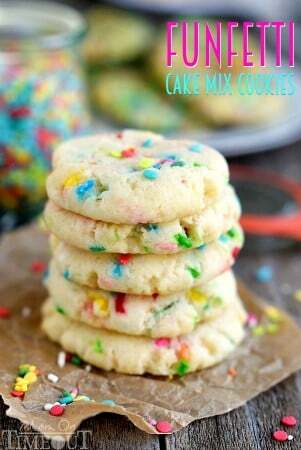 It makes baking them so much easier because they will all be done at the same time. 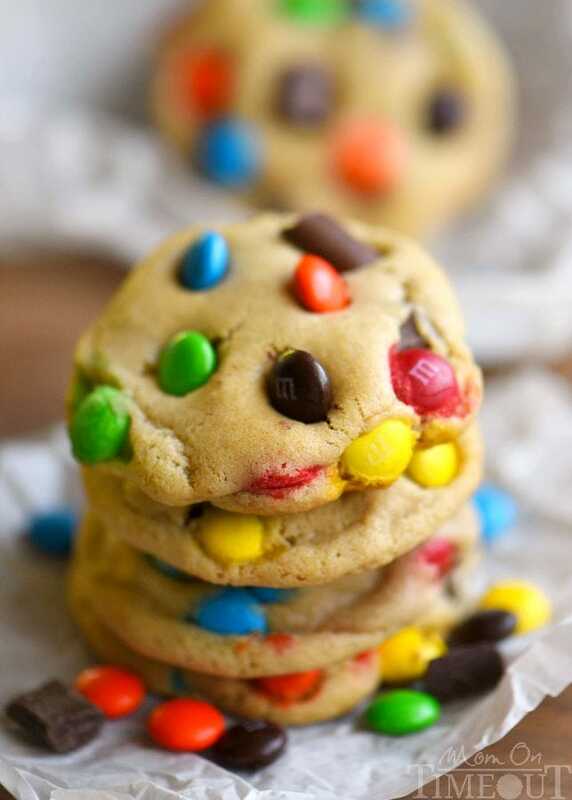 Feel free to add more M&Ms to the top of the cookies as they come out of the oven. Just press in gently and then let the cookies cool as directed. I made these for my mother-in-laws birthday party and they were a HUGE HIT. And, Melissa was like, I told you so. Yes you did. Yes. You. Did. 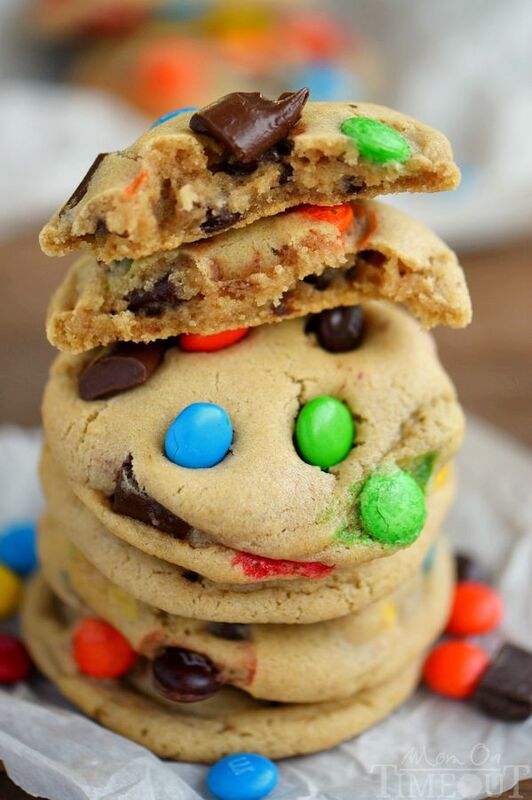 I have a new favorite way to make cookies. And I’m loving it! 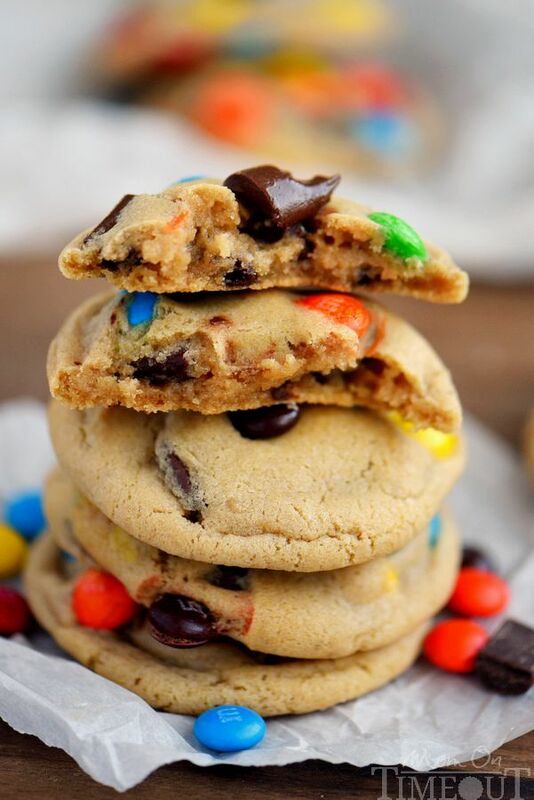 These Bakery Style M&M's and Chocolate Chunk Cookies are my new favorite thing. Incredibly soft, infinitely chewy and easy as can be. 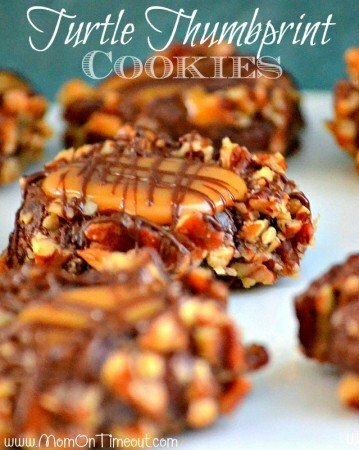 You need to give these a try! Line a small baking sheet with parchment paper. Set aside. Cream butter and sugars together in a large mixing bowl. Beat in the egg and vanilla until thoroughly combined. Combine flour, cornstarch, baking soda, and salt in a small bowl. Gradually add flour mixture to wet ingredients, mixing just until combined. 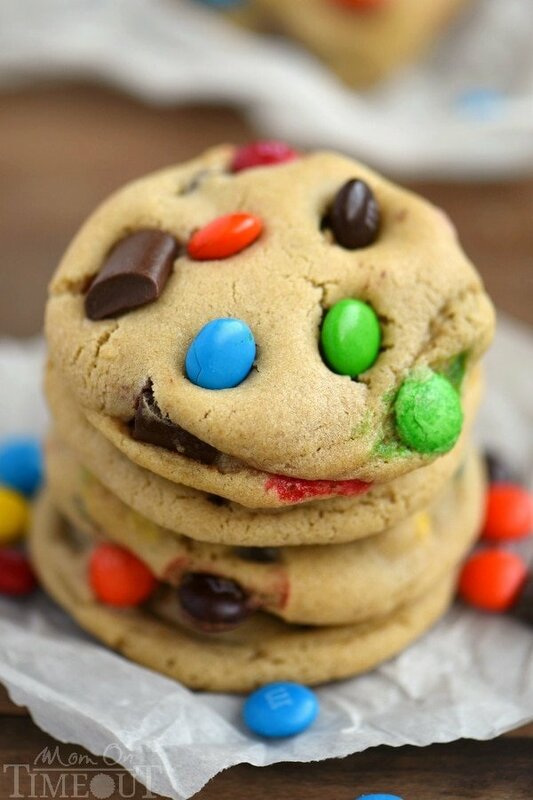 Fold in chocolate chunks and M&Ms. Scoop about 2 tablespoons of cookie dough and roll into balls. Using a cookie scoop helps to keep the cookies a uniform size. 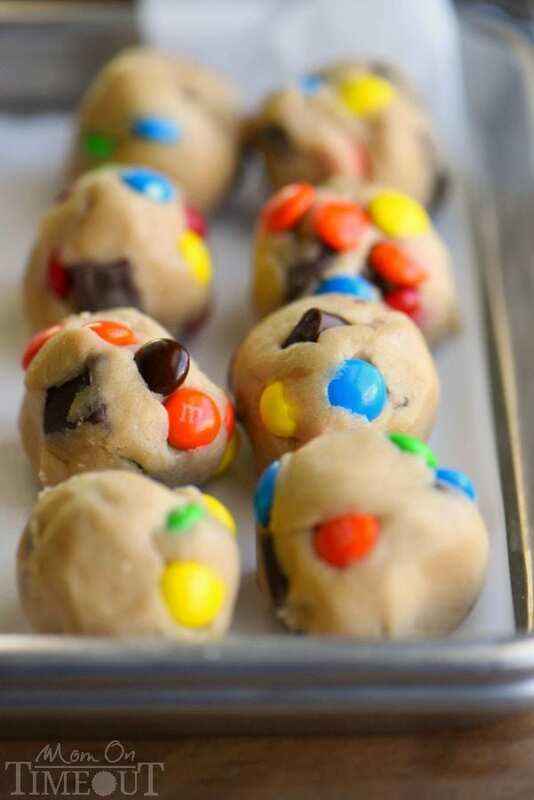 Place cookie dough balls on a parchment lined baking sheet and bake for 10-12 minutes. Cookies will appear slightly under-baked. 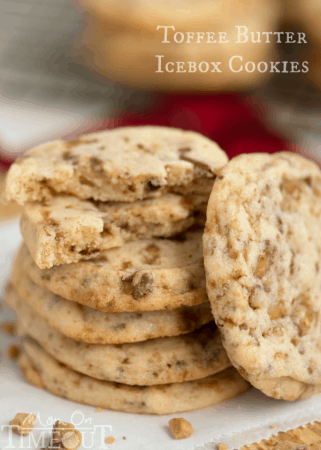 Let cookies cool for several minutes on baking sheet before transferring to a cooling rack. « Three Out of the Box Lunch Ideas – Not Just for Kids! I absolutely l these cookies. Will never make the other chocolate chip ones again. Lol. 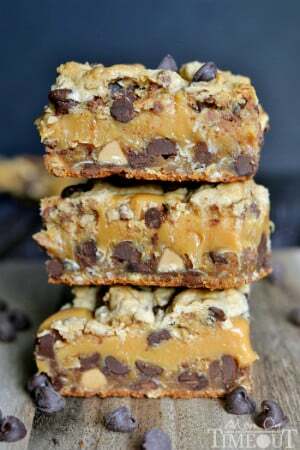 Have you ever made a chocolate cookie dough and froze them like these? I’m wondering if they come out as chewy as these? I would imagine so JoAnn! Freezing cookie dough has always worked for me in the past. So glad you enjoyed the recipe! Those would be a huge hit in our house. And I think I would have trouble stopping myself from eating them as they were coming out of the oven! 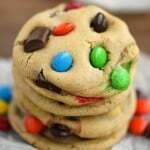 If I have a choice, I always go for the M&M cookie first.